My name is Doctor Wojciech Skrzypiec. 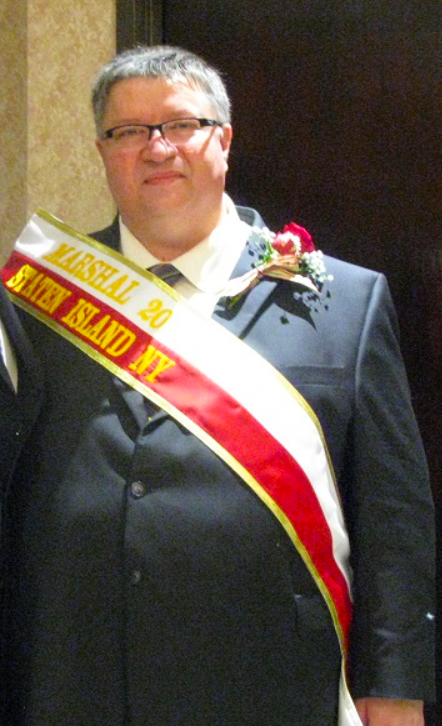 I want to thank you for nominating me to be the 2015 Marshal of Staten Island for the Pulaski Day Parade. I would like to tell you a little bit about myself. I was born – just a few years ago in Grudziadz, Poland. I finished all my schooling in Poland, including becoming a doctor at the Medical Academy of Warsaw. Shortly after graduation my wife and I arrived in the USA where I had to learn English and pass numerous exams in order to practice medicine in this country. After 7 years of training I became a doctor specializing in Internal Medicine, Pulmonary Medicine and Critical Care Medicine. We moved to Staten Island in 2001 – just a few weeks prior to the 9/11 tragedy of our city. I opened my private office in 2006 – and to my surprise found many Polish families on this Island and many were happy that I did speak Polish. I also feel very honored that so many of you decided to trust me and my wonderful staff, who are Mrs. Nina Rudik-Schwartz and Mrs. Ewa Baginska with your health. Family is very important to us all. I have enjoyed for years the loving support of my wife, Alicja and our children, Christine and Michael. Our family has grown over the last year by Joseph – our son-in-law and Devin – our daughter-in-law of whom we are very proud. Our Polish community of Staten Island is also a family and we must treat each other as such. That calls for us to support and respect each other whether we are receiving or providing services. As a family we must stand united and strive to advance our family to greater opportunities whether it is better city services, education or access to leadership positions in the current city, state and federal government. Therefore in conclusion I want to urge you to support and respect each other – this way we will all grow stronger as a community.